While visiting Edmonton last month (I visited Kolya Naturals, one of my retailers) the lovely ladies there have me a sample of a wonderful honey-based face mask to treat myself with that night in the hotel. 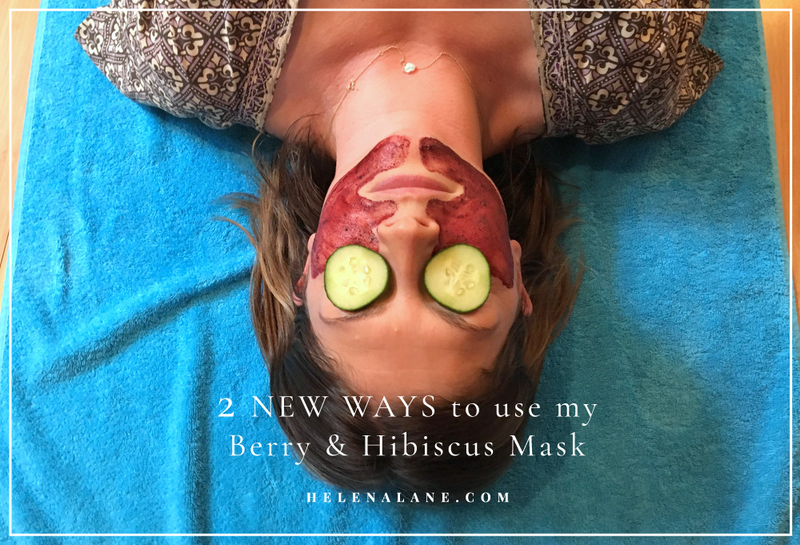 While I lay on my hotel bed, face slathered in fancy mask, I thought about my Berry & Hibiscus Mask and how great it would be to add in something different. My exfoliants and masks all come as powders, formulated to have water added just before you apply them. This ensures the mask is fresh and active and allows me to avoid adding harmful preservatives. Although water is all they need, there is no reason why you can’t play around and add other ingredients too.. our fridges and cupboards are full of fantastic ideas your skin will love! I tried teas.. rooibos, green and black. I tried apple cider vinegar and sugar water (glycolics are made from sugar extracts), and I even tried kombucha (although I think a non-flavoured version would have worked better! My two favourites by far are honey and natural yoghurt. Always start by adding water, this will help the nutrients to be extracted from the dried ingredients, then add the extras after. Another thing I found is that oils don’t mix in as well as water soluble foods, so keep them for a separate skin treat. Honey is soothing and moisturizing for our skin, so complements the stimulating effects of the berries in this mask. Raw honey also contains lovely enzymes that helps to exfoliate and clean the skin. My skin as bright, clean and so soft afterwards. Berry & Hibiscus Mask and Exfoliant plus yoghurt. Again, I added about a teaspoon to natural probiotic organic yoghurt to my mask and water mixture and applied to my whole face and neck (I was in the bath this time so able to be a bit messier!) Adding the yoghurt meant it didn’t really dry out at all which was great, so I left it on for the duration of my bath (about half an hour). With this combination I felt a wonderful cooling sensation from the yoghurt, I loved this with this bright red colour and stimulating berries. Again, yoghurt is soothing and moisturizing, and the lactic acid is exfoliating too, and the live bacteria and enzymes help to balance and heal the skin. I LOVED the feeling of this one on my skin. 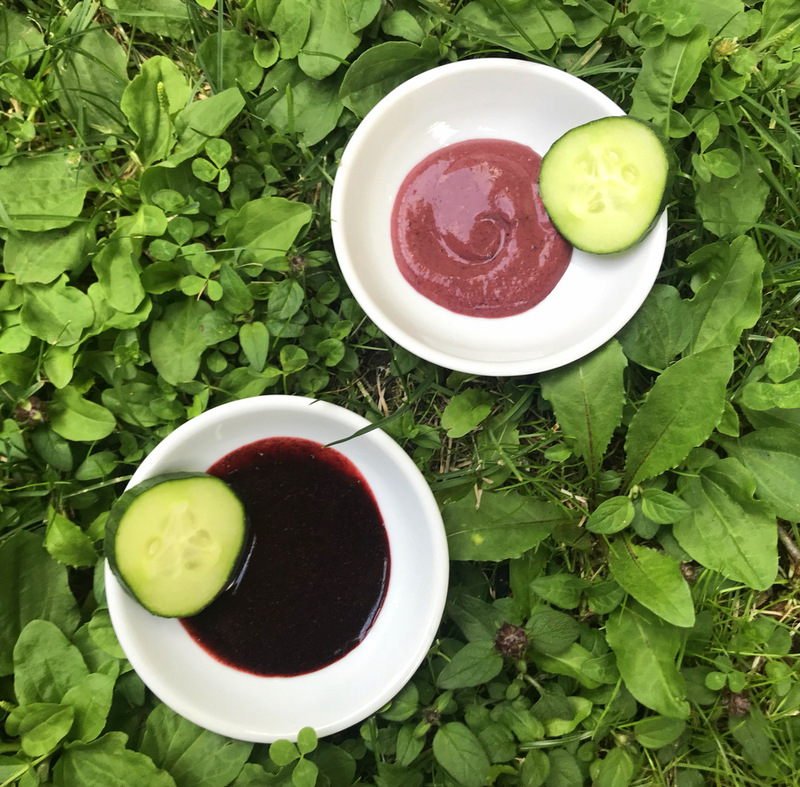 Read more about the ingredients in my Berry & Hibiscus Mask in this blog post. Shop Masks & Exfoliants here. I have been using the Berry & Hibiscus Mask & Exfoliant with honey since your blog came out and I LOVE it!! Thank your for the wonderful tip! Those both sound fantastic! Will definitely try.